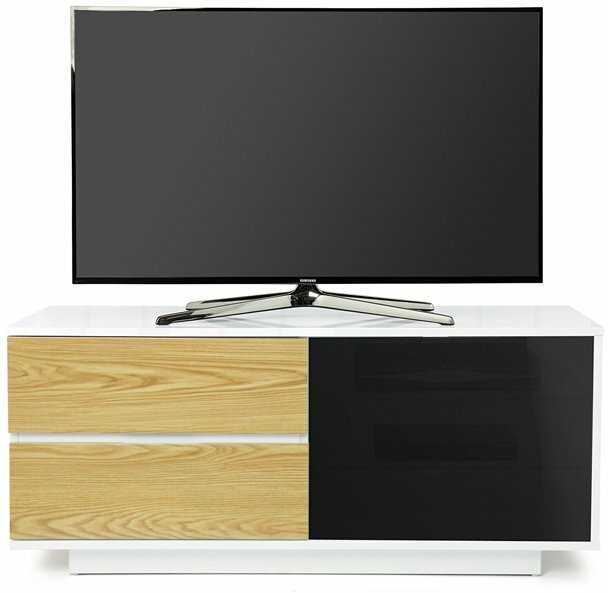 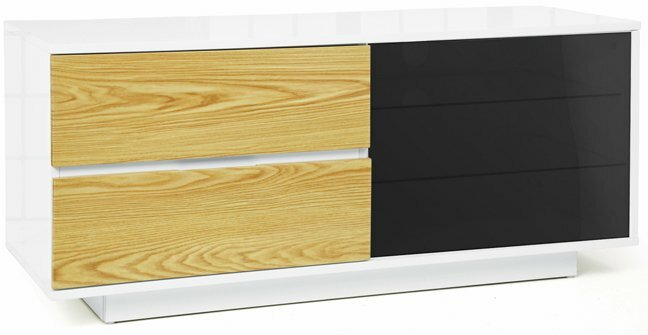 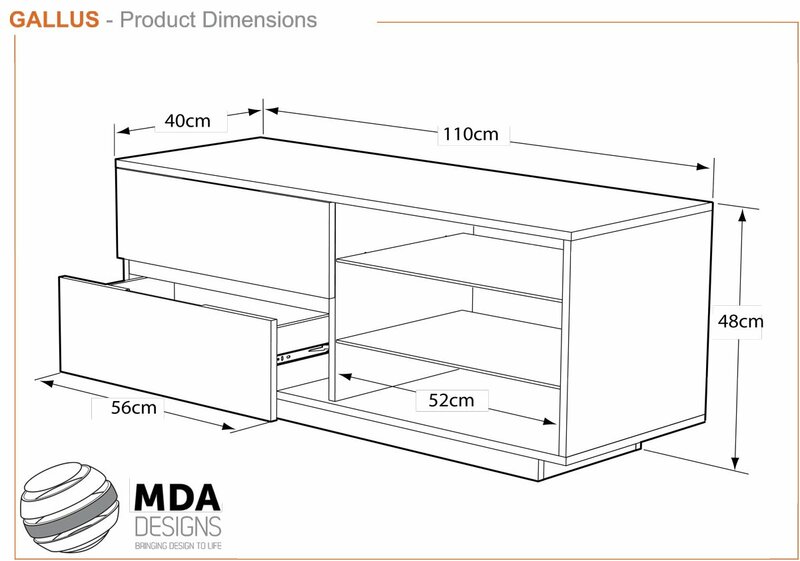 The Gallus is an ideal TV cabinet for LED, LCD, OLED and Plasma screens and provides functional storage. 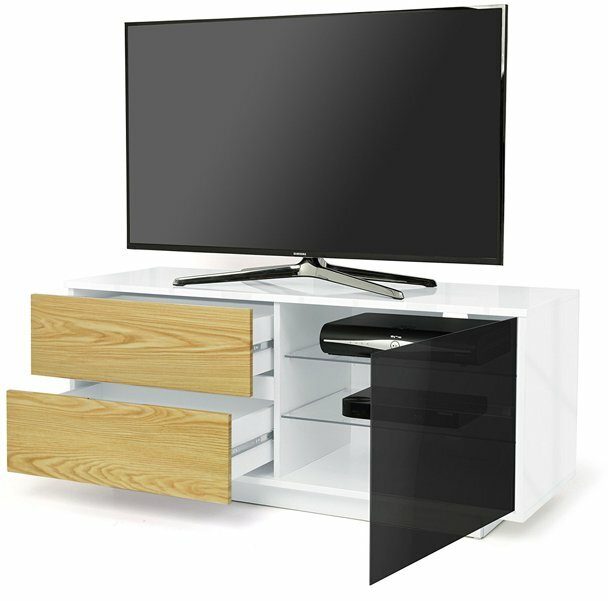 At 110cm wide, the Gallus is suitable to support TVs from 26" to 55". 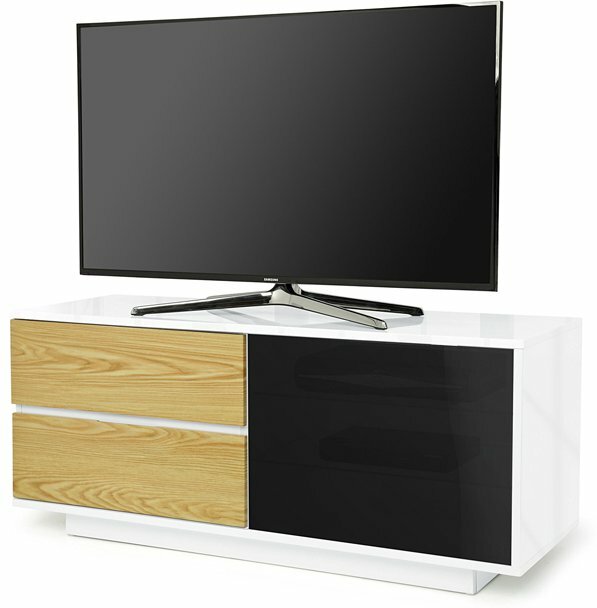 The Gallus has a modern and contemporary design, featuring three shelves and two media drawers, finished in high gloss with a white base.